Artweaver - A nice freeware painting app ~ Android Forever! Whether you're a talented artist or a hack who just wants to doodle, Artweaver can give you some joy. 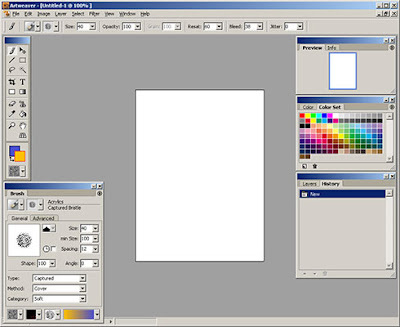 "Artweaver is a Windows Freeware program to simulate natural brush tools. It is therefore suitable to leave your creativity free run. Artweaver offers you a clear program window, which can be used without training immediately."